San Miguel, the premium Spanish beer brand, will launch its debut 'Rich List' with an experiential event at Somerset House today (23 November). The 16-page pull-out supplement in The Guardian will feature 19 inspiring individuals from across the globe who like the brand’s forefathers, look to explore the world and discover life’s most enriching experiences. 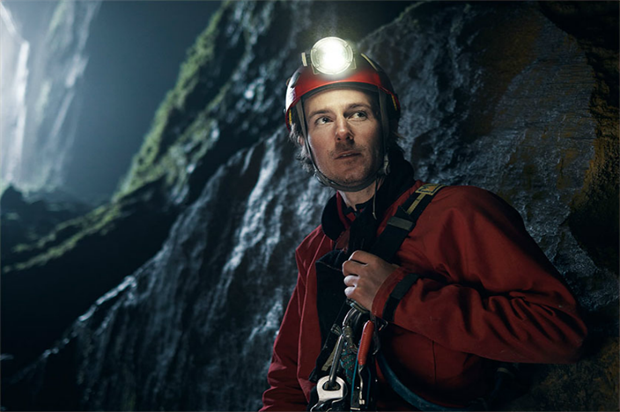 The experiential launch event will include an immersive 4D cave inspired by British deep cave explorer, Robbie Shone. Guests will enter an ‘underground cave’ experiencing the same conditions and environment brought to life in the short-form brand documentary produced with the Discovery Channel. The event will invite guests to discover more about the 19 individuals and provide them with the chance to attend workshops that will provide a glimpse into the world of a Life Rich Individual. The brand campaign focused on four hero Life Rich Individuals including Robbie, plus landscape artist Tony Plant, marine life photographer Goran Ehlme and Spanish horse whisperer Simin Nadjafi Hinrichs. Dharmesh Rana, San Miguel senior brand manager, said: "This has been an exciting year for San Miguel, back in 1890 the brand set out on a quest to explore the world and enrich themselves. Our activity this year has followed that pathway. Through beautifully shot films, premium partnerships and incredible stories, we have brought the brand philosophy to life. The supplement going live this Saturday in The Guardian is a testament to a year's work." San Miguel launched the quest to find the The San Miguel Rich List in July. It tapped into an 'experience seeking' audience by devising live events as part of a fully-integrated, 360-degree campaign.